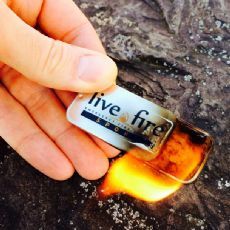 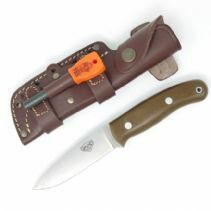 The Wolverine has been designed to be as waterproof as possible. 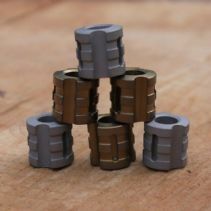 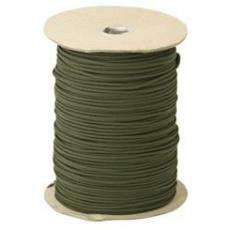 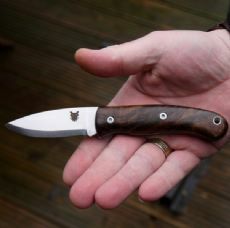 It is only currently constructed inj stainless steel and available with G10 or stabilised Curly Birch. 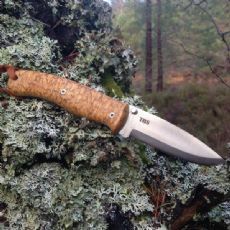 It is also offered in a choice of grinds, either Flat or Scandi. 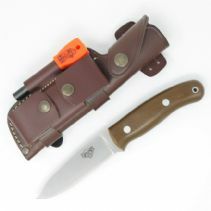 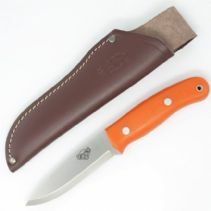 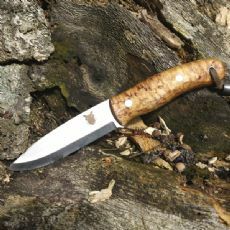 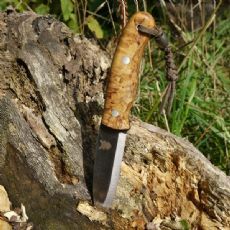 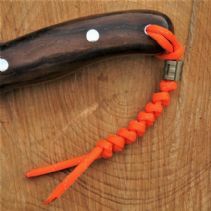 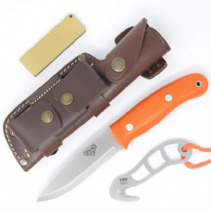 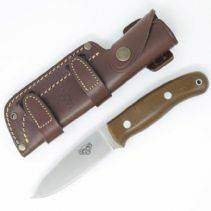 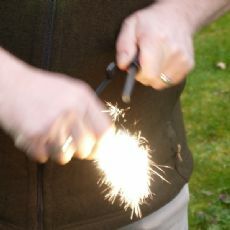 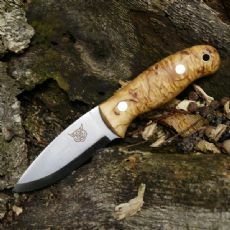 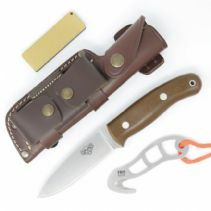 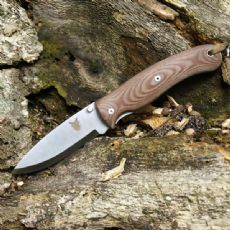 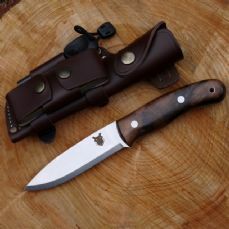 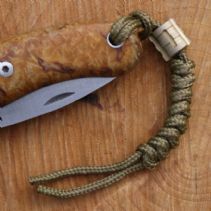 It can be accompanied by the Raptor Guthook to make a sensational hunting knife package or used independantly as a brilliant camp or Bushcraft knife.